The Orwell Leg—Trousers for the 21st Century | Ich bin ein Sender. Ich strahle aus! | I am a sender. I transmit! Approx. 90 x 45 cm. 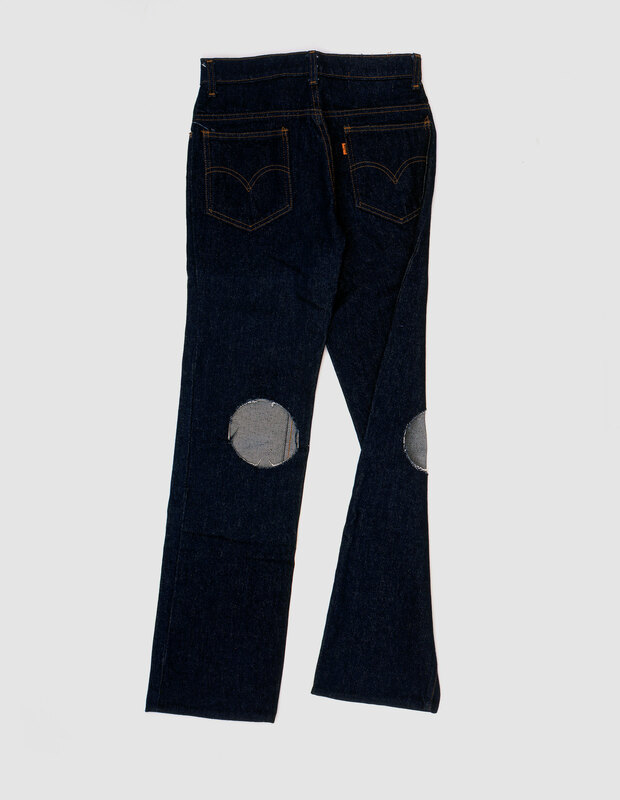 Beuys said of The Orwell Leg that ‘everybody in the world should make this [sic] trousers to themselves [sic], to struggle against world-wide materialism and repression….’3 As the fateful, Orwellian year of 1984 began, society had not yet arrived in the era of Big Brother. 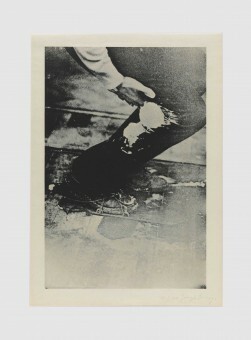 It was, however, rife with injustice and inequality, problems that preoccupied Beuys deeply. 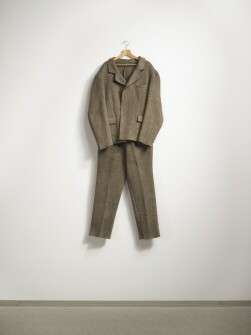 Perceiving them to be the product of a limited materialistic worldview, Beuys attempted to redress them by promoting the virtues of intuition, a form of experience he held to be superior to reason. While reason for Beuys was a material faculty, whose locus of operation was the brain, intuition was a spiritual mode of experience, which could arise at any point within the body. It was for this reason that he chose to call attention to his knees in his Orwell Leg jeans. 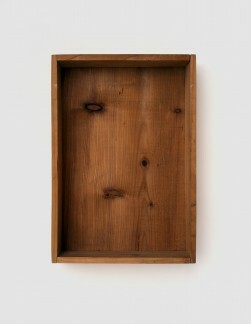 Beuys viewed intuitive experience as the basis of all creativity, most notably social evolution. It was only by harnessing its powers, he contended, that a new and more progressive society might develop—perhaps, as the Orwell Leg suggested, in the 21st century.